Improve Productivity — Use ECO-Aire® Air Drying Systems while Blasting or Cleaning. 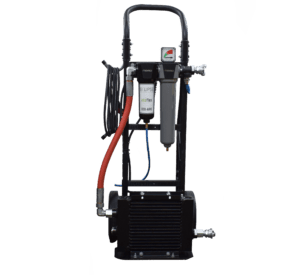 Clean, Dry compressed air is essential when performing any kind of cleaning or blasting operation, including Dry Ice Blasting. We build these systems ourselves using quality industrial grade components. ESCA has spent many hours researching and testing many individual air drying components – if you are looking to upgrade your existing system or seeking a replacement item, we offer many different choices – please see below for more information or contact us now to discuss your situation. Our Coalescing Air Filter line up offers the best filtering capability at a budget-friendly price. Our air filters ensure no contaminants end up in your blast vessel or on the surface you are blasting. 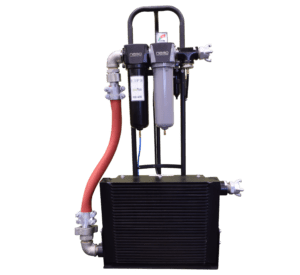 All of our air filters are rated to trap particles as fine as 1 micron, and can be added inline with your existing equipment or mated up with our water separator products (see above). Contact us now for pricing and availability. Our Water Separators are compact, easy to install, and lightweight. If you own an old-style, unwieldy moisture separator, give us a call to discuss the options available today. We carry various CFM capacity Water Separators and will recommend the right size for your application. 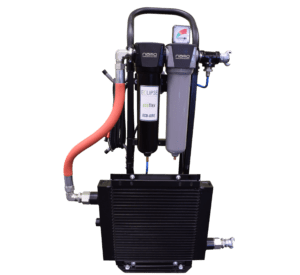 We work with many contractors and companies who already own a water separator and recognize the value of adding an inline aftercooler in order to improve the quality of their compressed air. We have various sized Aftercoolers available to suit any size air compressor (we need to know your CFM rating). We also offer both 12 Volt and Pneumatic options. Our 12 Volt units come with battery clips or can be hardwired to your compressor with an On/Off switch if desired.